Peep Pops are a great treat for Easter. What could be better than Peeps and chocolate? You can put them on a stick or straw for no mess eating or just arrange them on a plate. It’s a bit messy to do this with kids, but easy and great fun. How to Make Peep Pops. 1. Be sure to have everything ready before you start melting the chocolate chips. Put each kind of sprinkle or decoration in a shallow bowl. Get your straws, sticks, etc. ready and put them in the peeps you will be dipping. 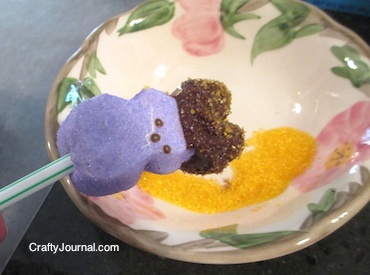 If you are dipping just the bottom half of the peep, you will need to insert the straw after the peep is dipped and the chocolate hardens. 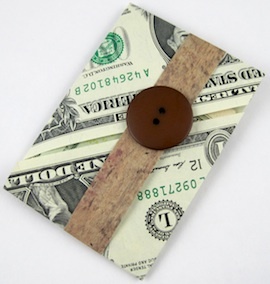 Lay out a sheet of waxed paper on a cookie sheet or large plate. 2. Melt the chocolate chips in the microwave for about 1 minute. Continue microwaving 15 or 20 seconds each time until the chips are mostly melted. At this point you can just stir the chocolate and the chips should finish melting. 3. Choose a peep and dip it into the chocolate. I just dipped the ears or bottom part on most of them, so only dipped them that far. Use the side of a spoon to gently remove excess chocolate back into the bowl. I ran the spoon between the ears so they didn’t become one large ear. 4. Immediately roll the chocolate covered part in the sprinkles. If necessary, use your fingers to press them into the chocolate. 5. Lay the finished peep on the wax paper. When the tray is full, put it into the freezer for a few minutes to harden the chocolate. 6. The finished Peep Pops can be individually wrapped in cellophane or plastic bags and tied with a ribbon. Or they can be arranged on a large plate to serve. Or arrange the wrapped Peep Pops in a jar full of Robins Eggs or Jelly Beans with a big bow tied around it. Other things you can roll the chocolate covered peeps in are: Rice Krispies, coconut, chopped nuts (be sure no one has a nut allergy), or crushed hard candies. These look delicious and super cute! Thanks for sharing! yummy who could turn down peeps with chocolate and sprinkles?!?! These look so yummy! I love the chocolate covered marshmallows! My youngest son LOVES Peeps! Thanks for sharing! 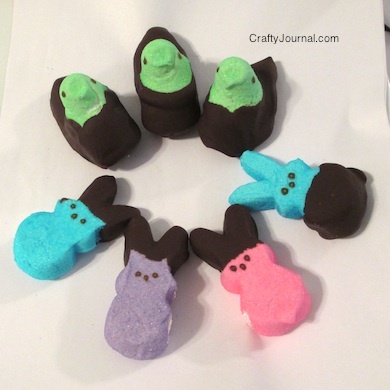 Love this idea – may need to do this with the leftover peeps. Thank so much for sharing it at the Friday Frenzy! What a great idea!! They are so cute! !